Sometimes other means can be used to create the four corner points however please consider the information below. If you still have questions about an application, call Air-Dock for assistance. Auger poles can be used as tie points in some applications. 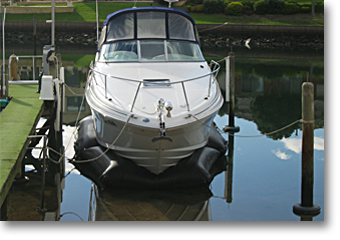 They are only practical in shallow water applications with little depth fluctuation and they must also be strong enough to hold the boat in high winds and currents. 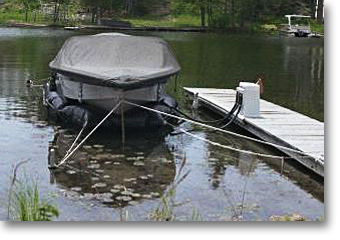 Pilings can be installed and they work great however they usually require permitting which can be cumbersome and expensive. Anchors can be used as tie points in some applications. 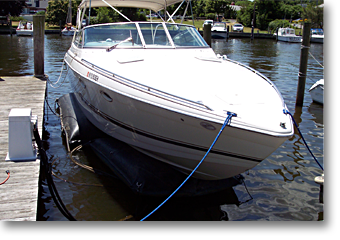 However, they are only practical in shallow water applications with little depth fluctuation and they must be strong enough to hold the boat in high winds and currents. We do not recommend using anchors unless you meet these conditions and have experience installing anchors.